Mô tả Learn Japanese Kana in 1 day! With Dr. Moku you can master the Kana (Hiragana and Katakana; the two essential Japanese writing systems) in just one day. 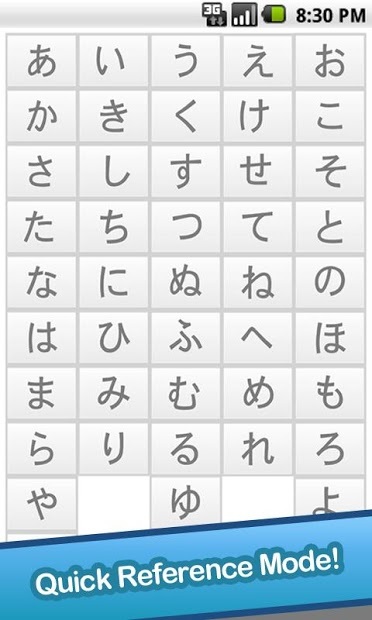 The Dr. Moku system uses mnemonics to help you learn the Kana automatically and effortlessly. 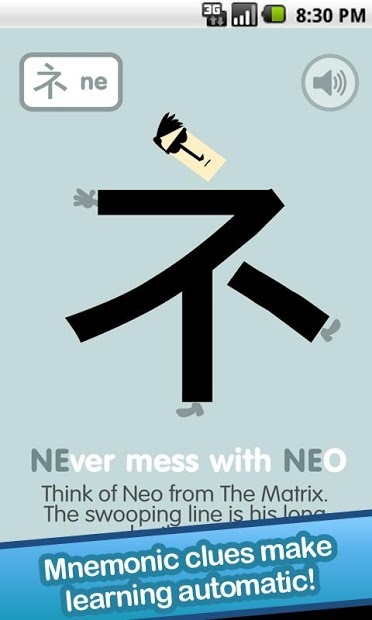 Mnemonics are memory tricks that use humor or a memorable personal connection to help you fix and break associations so that your brain has no choice but to remember. 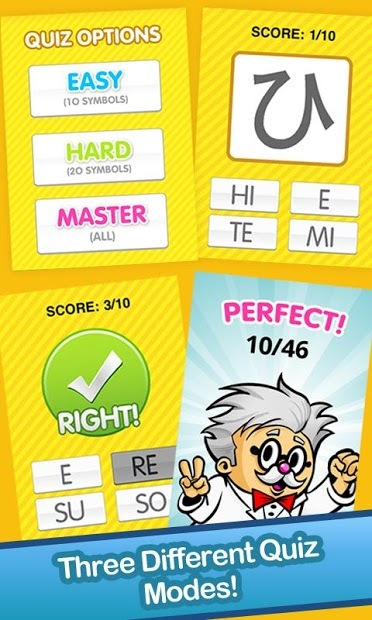 Dr. Moku is the perfect solution for learning Japanese for the complete beginner, young or old. It’s the fun and foolproof way to master Japanese. Each screen presents a Japanese Kana symbol along with the mnemonic clue and the audio clip. Read the clue, listen to the clip and move on to the next one. The alternating bold colors will reset your brain so you start fresh with each new symbol, allowing you to learn without trying. 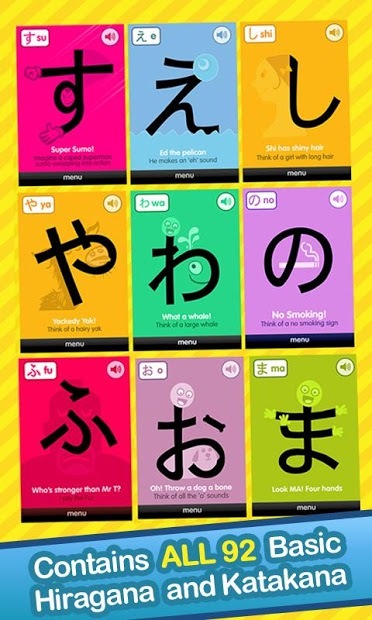 If you want to rapidly increase your learning power or just impress your friends, with Dr. Moku's Mnemonic learning system you can automatically and effortlessly learn Japanese. With Dr. Moku you will be amazed at your ability to learn and recall.